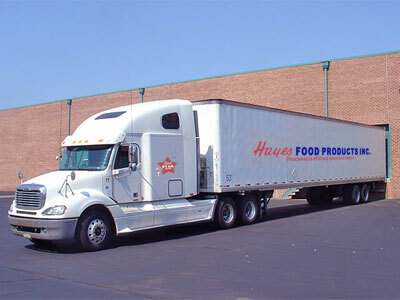 Hayes Food Products Inc. was established on September 1, 1958. Our corporate office and warehouse is located in Greenville, SC. The business has been privately owned since it was founded. 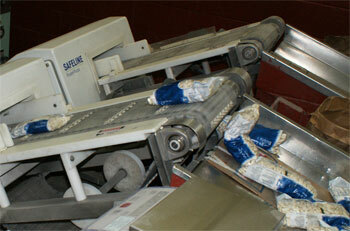 Hayes Food Products specializes in the processing and packaging of dried beans and peas. Our trademark over the years has been careful processing, high standards of quality control, and the most modern equipment available; which is used in the cleaning, processing, and packing of our beans. The quality of dried beans with which we supply our customers is excellent. We also provide very competitive pricing and superior service to our customers. Hayes Food products has one major advantage that other companies do not have and that is our highly specialized bean brokers, sales consultants and our other highly skilled employees. Our employees have years of experience in the bean business. That experience provides them the knowledge of the bean markets like no one else. We have bean brokers and sales consultants who are constantly contacting suppliers, elevators and farmers each day on market conditions. We are constantly sending our employees to elevators and to the farms to establish the kind of high quality of dried beans that we package. Our employees also keep up with the export and import of beans and with crop conditions in foreign countries. These market conditions affect the price of beans. We also keep up with government purchases that affect bean prices. By having the knowledge of the markets, we can provide your company with the lowest prices and the highest quality available. Our corporate office and warehouse is the most modern and efficient in the world. Hayes Food Products has always believed that to process and package the finest dried beans and peas, you need the finest equipment. We are constantly being inspected by the South Carolina Department of Agriculture, the Federal Department of Agriculture and the AIB. We tend to always receive an excellent or superior rating from them. We believe we receive these ratings because of our high quality control and standard operating procedures. Having the finest equipment and our high quality control teams enable us to package the highest quality of dried beans in the most efficient environment. The current geographical areas to which we ship are the South, East and the Midwest. We provide private label packaging to food distributors as well as our own Hayes label. As you can see Hayes Food Products is a highly specialized dried bean and pea company that has established a reputation built on high quality, knowledge and service throughout the United States and foreign countries. Our quality of beans, specialized employees, high quality service and years of experience in the bean business sets us apart from all other competitors.